Yesterday afternoon Jason and I (and Madison of course!) drove from the Cape to my moms house in Western Massachusetts, she’s only about a half an hour from Hartford so it’s perfect! 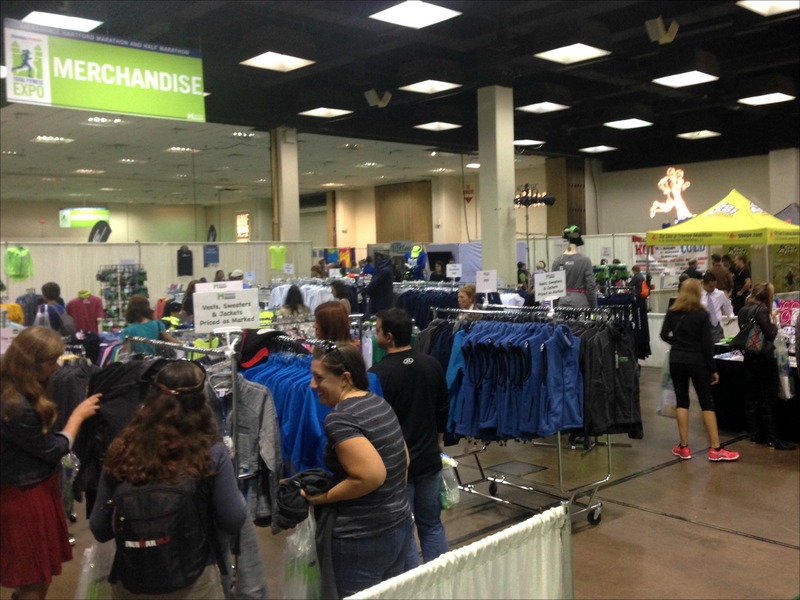 As soon as we arrived and dropped Madison off at the house we headed to the expo to grab our bibs. The expo is held at the XL Center which is where both Jason and I used to work, so it was sort of weird being back there! 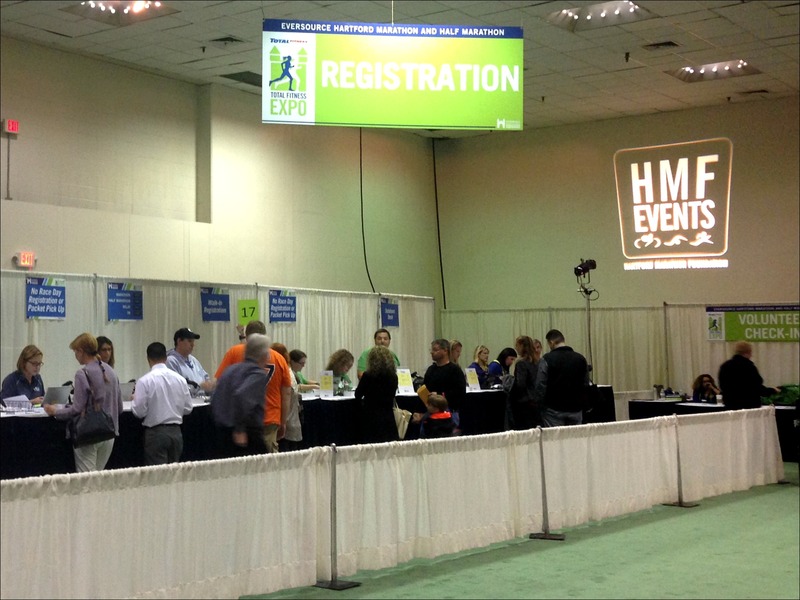 I volunteered at the Hartford Marathon 2 years ago doing bib pick up, so I knew just what to expect with their dynamic number assignment (your bib # is not pre-assigned) and we had our bibs in no time! We breezed though the expo really only stopping to grab some edible samples on our way to the shirt pick up which was on the other side of the room (we were SOOO hungry!). I’d be willing to bet we were in and out of there in under 20 minutes! I wish I had a picture to show you because it was AMAZING, but remember how I said we were hungry? Yeah, we were about halfway through the pizzas before I thought of taking a picture! 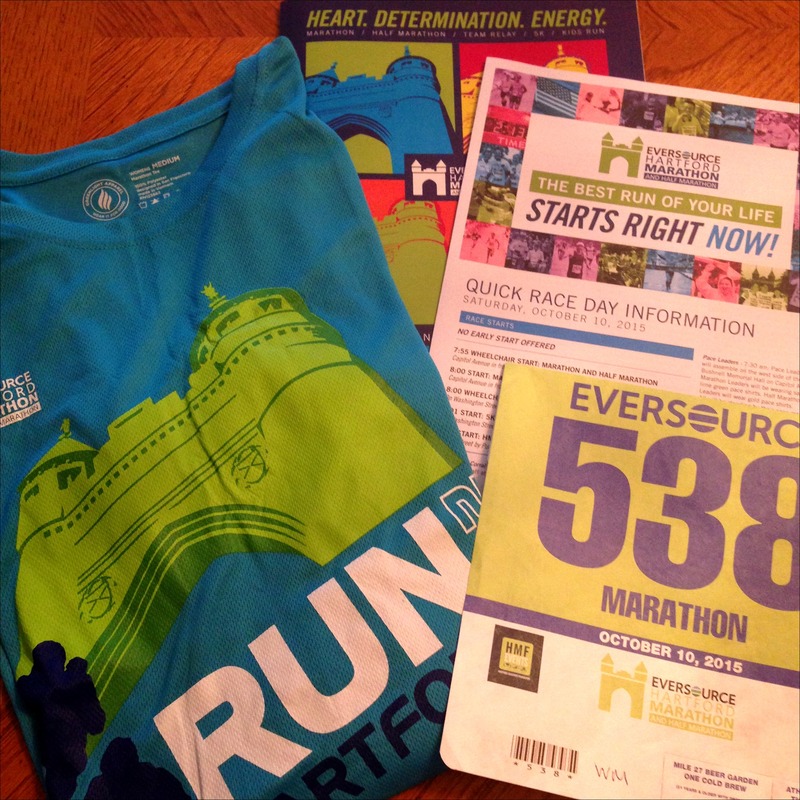 Once we got home I checked out the race shirt and poured through the program and event day information – the Hartford Marathon does a great job providing runners and spectators with TONS of useful info! In addition to the shirt, at the finish line all runners are given a reusable water bottle to fill at the water bubbler (what they call their innovative water dispensing system at the finish line – I’ll try to remember to get a picture!). Since they started using the bubbler the race has eliminated the need for over 100,000 single use plastic water bottles! 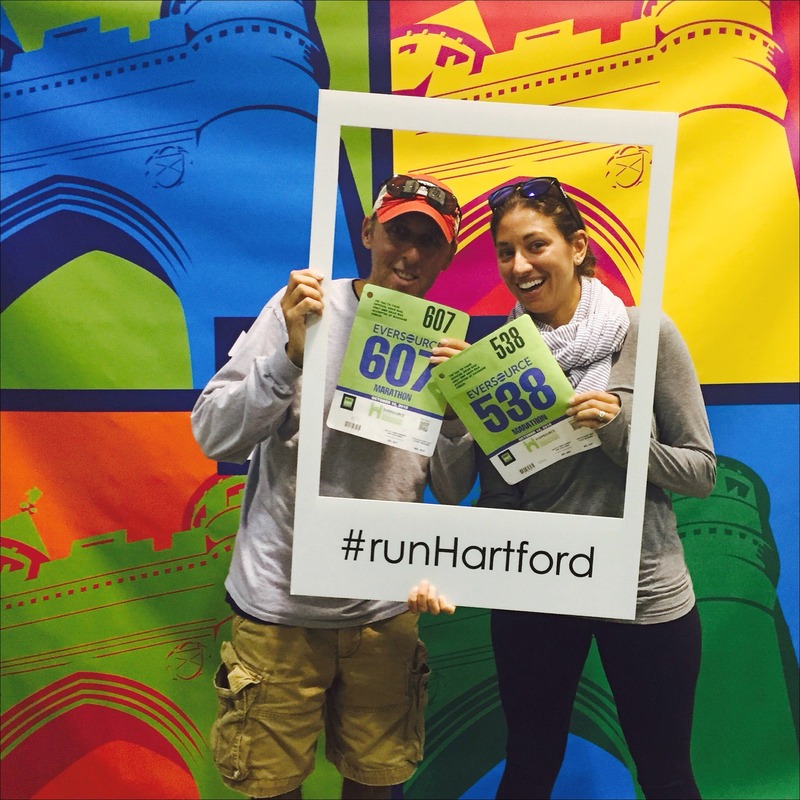 I love how “green” the Hartford Marathon is, they really are very environmentally responsible and incorporate a lot of creative sustainability solutions into their events. …Pat is arriving this afternoon and I’m making our usual pre-long run pasta for dinner tonight! A little more stretching and foam rolling and we should be good to go! Pepe’s….lovelovelovelovelove. And please don’t tell me corporate greed has taken hold of the infamous Civic Center. The XL Center? Is that the same place? Home of my now defunct beloved Whalers?? Haha, yup, one and the same – they sold the naming rights about 7 years ago when I worked there actually. Did I ever tell you that my husband used to be a stick kid for the Hartford Whalers?! Oh and Pepe’s doesn’t just exist in New Haven any more! They have locations that are just like the original in Manchester, West Hartford and a few others which is AWESOME because we go any time I go to visit my mom! SO MANY NIGHTS AT PEPE’S!!! And as we had connections to the Whale we were at more games then not. I probably saw Jason when he was just a wee one, lol! Good luck in Hartford. I ran it a few years ago and they do know how to put on a great race. I love their efforts to go green also. So few races do anything remotely green. 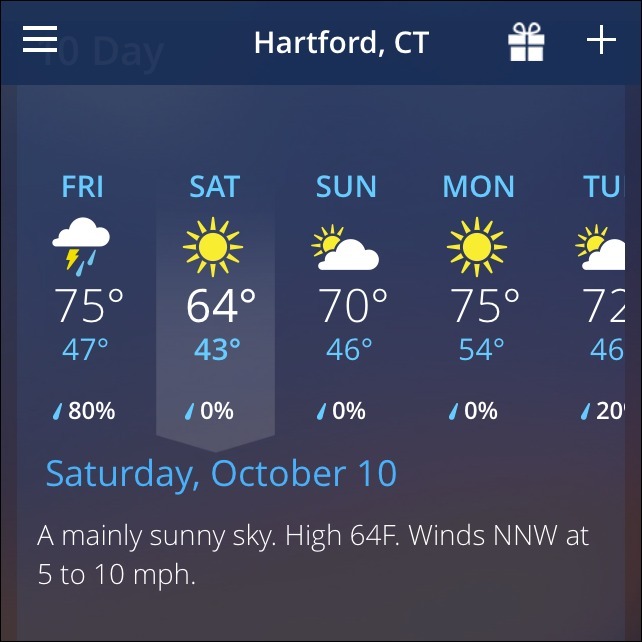 I may run a 5K this weekend, but maybe not. Thanks Andy, it really was a great race! Already looking forward to doing it again in the future!